Debut Date 30 Aug 1936. Pitcher 3 Years. Served in the U S Army during World War II. Although out of the majors since 1936, he pitched the pennant-clinching game for the Browns in 1944. Died from natural causes. 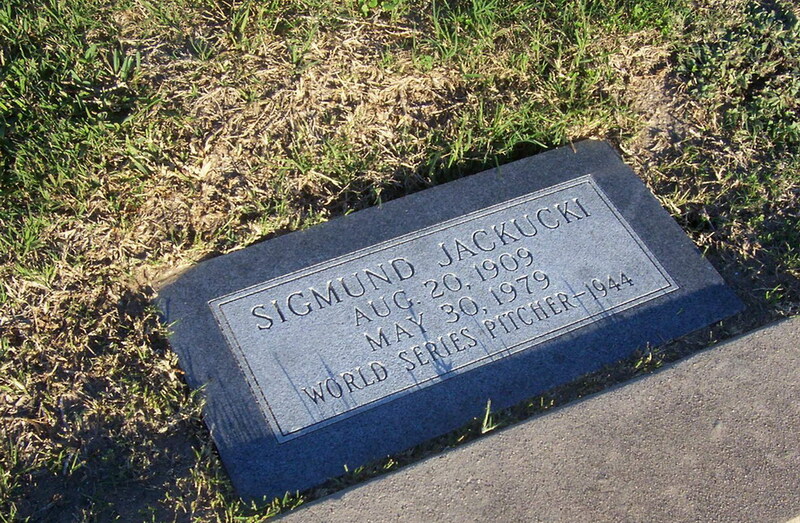 Buried under the name of Sigmund Jackucki.